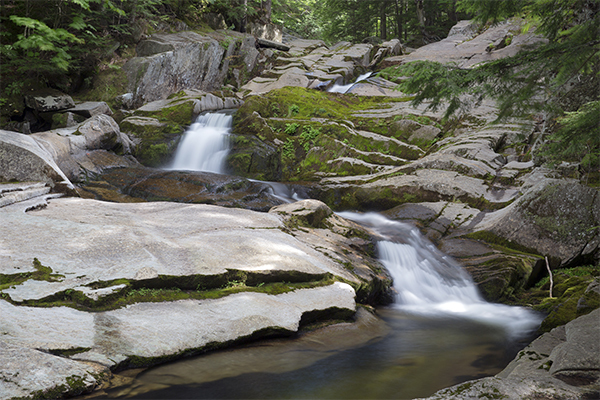 The Cataracts provide a mix of several types of waterfalls, numerous swimming holes, and a rugged, deep gorge. 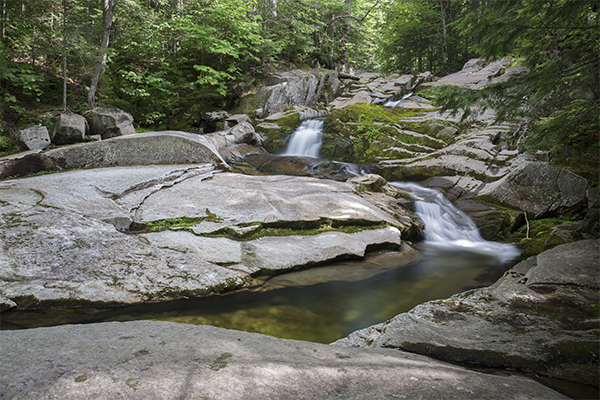 The three distinct sets of falls and several swimming holes provide opportunities for hours of exploration. 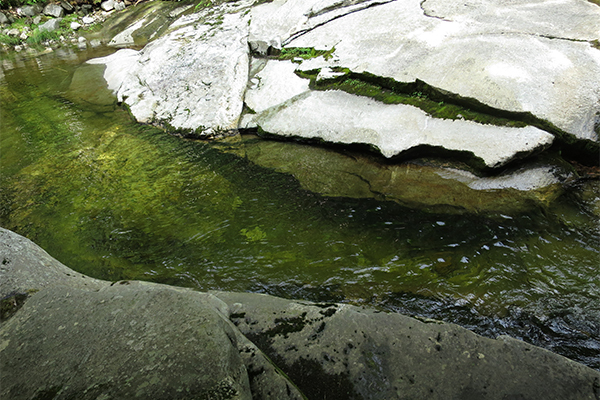 The many swimming holes are refreshingly pleasing when conditions allow. In spring, the falls turn into massive torrents of water. Multiple visits will reveal several of the many different personalities this waterfall has to offer throughout the seasons. 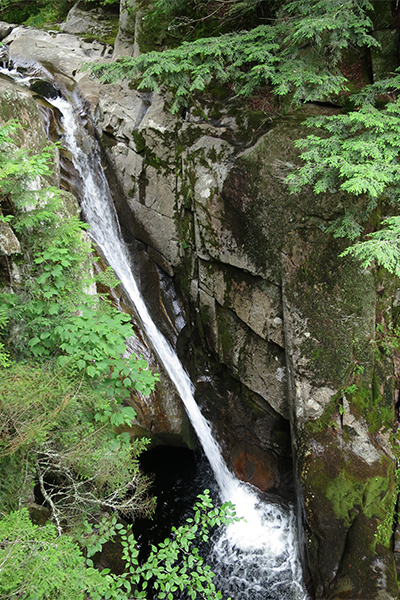 The lower falls, sometimes called The Churn, drops 12 feet through a tight slot near the end of the deep gorge. 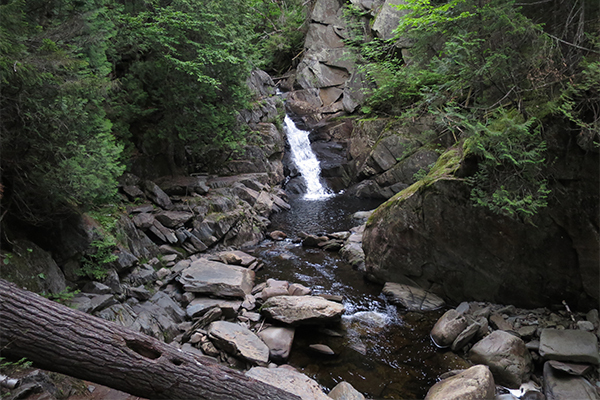 This falls is just off-trail, but access is straightforward enough to reach it. 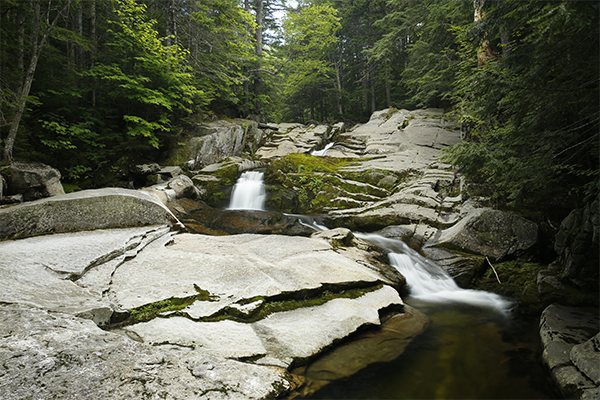 The middle falls, commonly known as The Cataract, is a 70-foot horsetail that flies down a smooth slide into a deep pothole. A wooden fence along the edge of the insanely steep gorge is in place to convince you not to go anywhere near the edge. 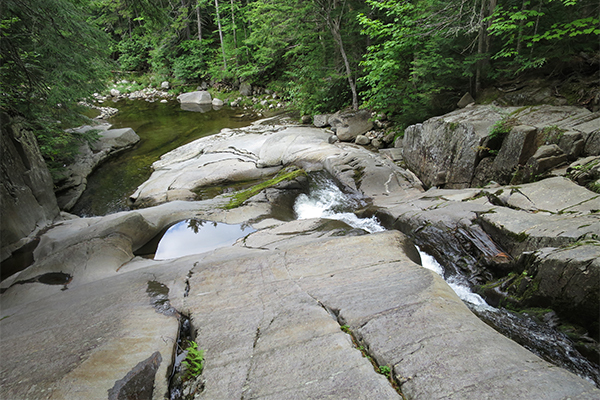 The pothole below the middle falls would offer excellent swimming, but there does not appear to be any safe way to access it. 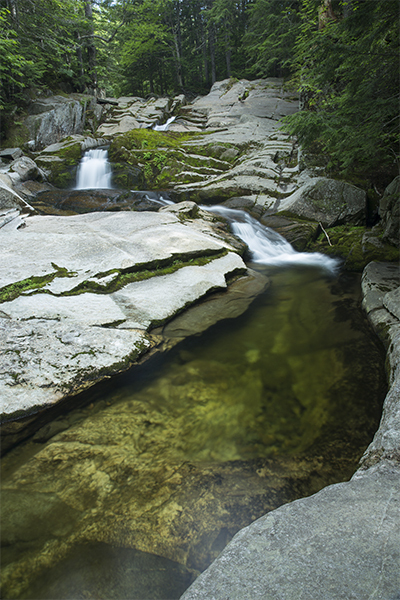 The upper falls, often referred to as The Flume, is perhaps the most welcoming of all the falls on Frye Brook. Here, the brook is wide and it drops in a series of curving cascades and horsetails that often blend together in high flow conditions. 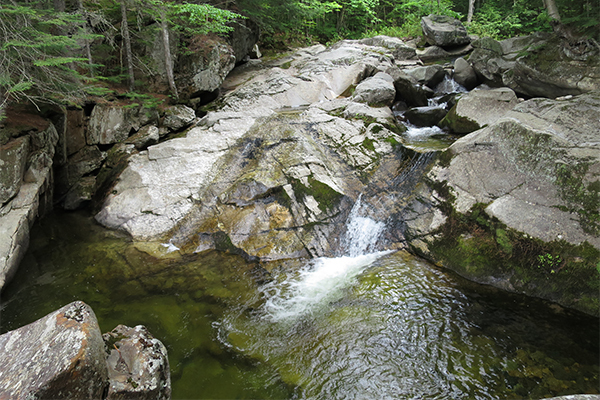 During low water levels, there is great swimming in the channels below the falls. These pools are the most family-friendly of all the pools found along this trail.